This is WOW News 247: President Buhari's Bodyguard is a Boko Haram Member - Arrested? 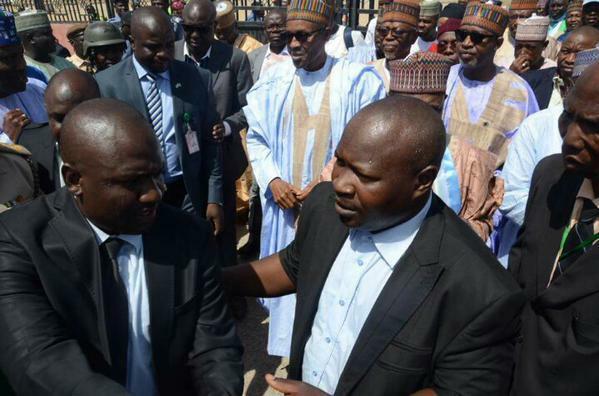 President Buhari's Bodyguard is a Boko Haram Member - Arrested? According to vanguardngr, the presidency could not be reached to confirm the arrest of a Body Guard to President Mohammadu Buhari Coporal Hassan Aminu who is alleged to have a link with Boko Haram sect. Several calls and SMS sent to the presidential media Aide, Mr. Femi Adesina and Mallam Garba Shehu were not answered or replied even as at 8:35 pm.